Now this makeover has taken me ages, months in fact. I’m not sure why, I just kept procrastinating and was unsure of what I wanted the overall room to look and feel like. It’s fair to say that if Mack had his choice, he would have chosen something like Batman as his theme, however, anyone with children will know how short lived their current obsessions are. So batman was a no go, sorry Mack! I love Bohemian style, and will always find a way to chuck in a few vintage touches. 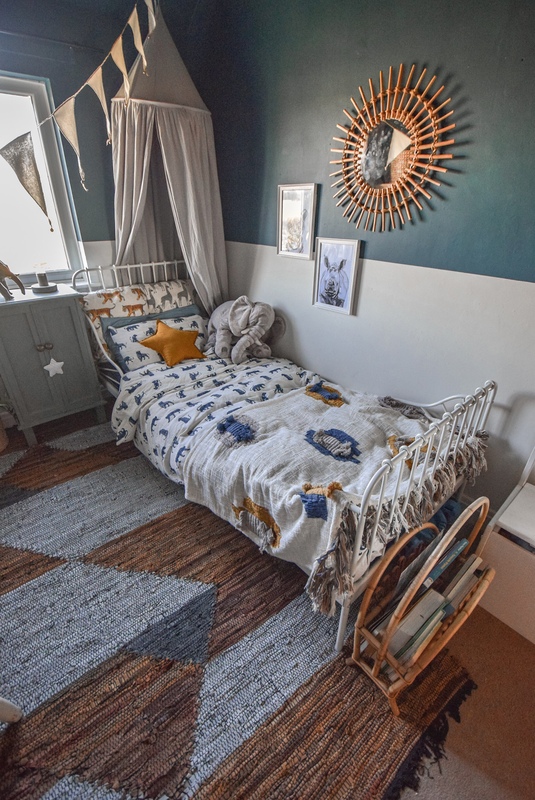 So I guess Mack’s room, is a little bit boho, slightly modern, with a hint of vintage. The best combination for originality in my opinion. Ok, lets get on with the tour…. The walls were what stalled the makeover, because the room is quite long and narrow, I originally wanted to paint the ceiling and wall by the window in the teal colour which is ‘Sodium Sky’ by Dulux, but once I had done it, it didn’t look like I had imagined, So I decided to do a half and half wall instead, but with the dark colour on top. I think it turned out really well. 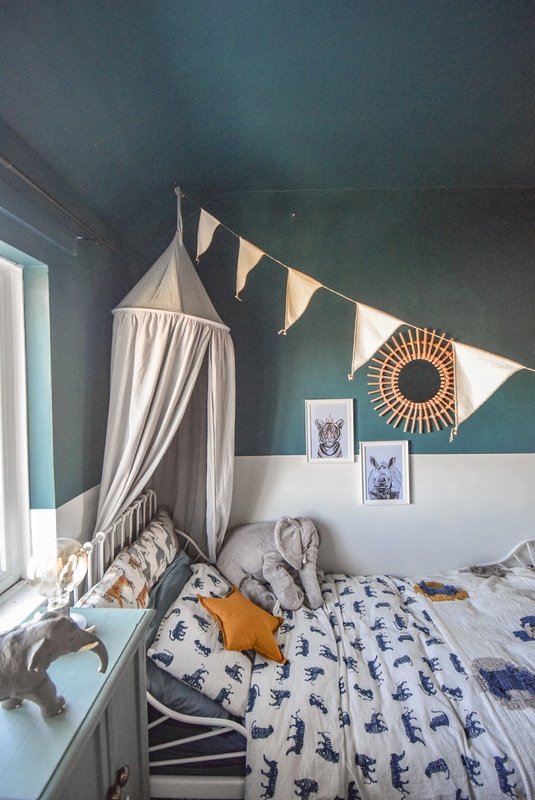 Mack’s bed is from IKEA, it’s a Victorian style, extendable children’s bed, which extends from toddler size to a full length single, however the width is only 80cm, meaning you have to buy the mattress from IKEA too, which is fine, because it’s actually very comfortable. Other places may sell 80cm wide mattresses, I just haven’t come across any. 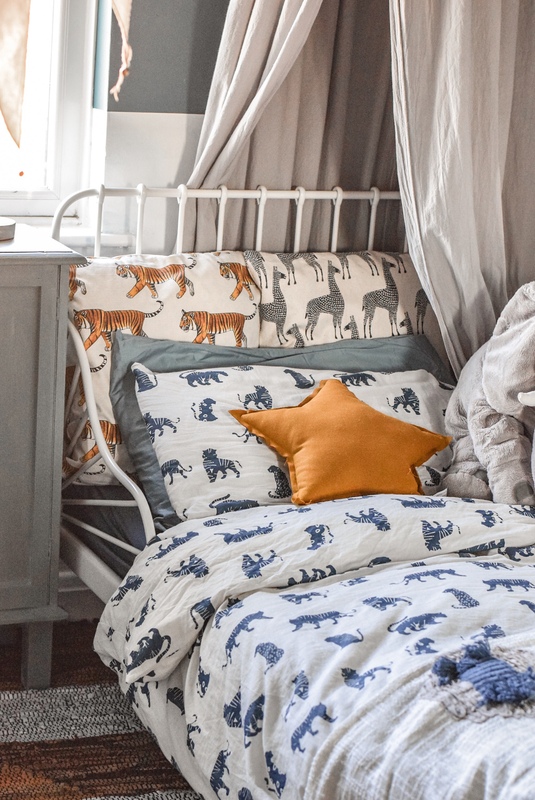 Whilst I was in IKEA buying the bed, I also picked up a feather filled duvet, along with a tiger print cover and pillow case, which you can find here. Behind the pillows are two cushions from H&M. One has tigers on and the other has erm Lama’s I think. It’s no longer in stock but here is a similar one. The canopy is from ebay, it was around £20, which is a bargain compared to some that i’ve seen. 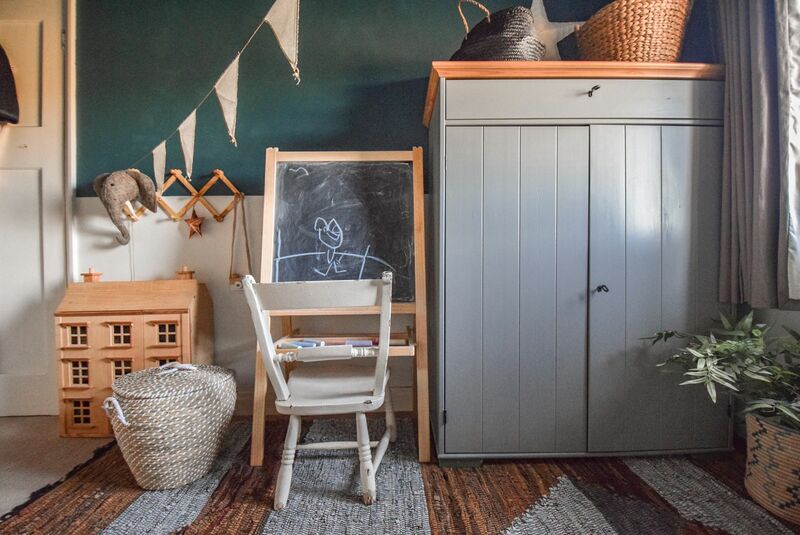 You may have seen on Instagram that I found a vintage wardrobe from our local recycling centre. It was only a tenner, so totally worth the risk of it not looking right in the room. 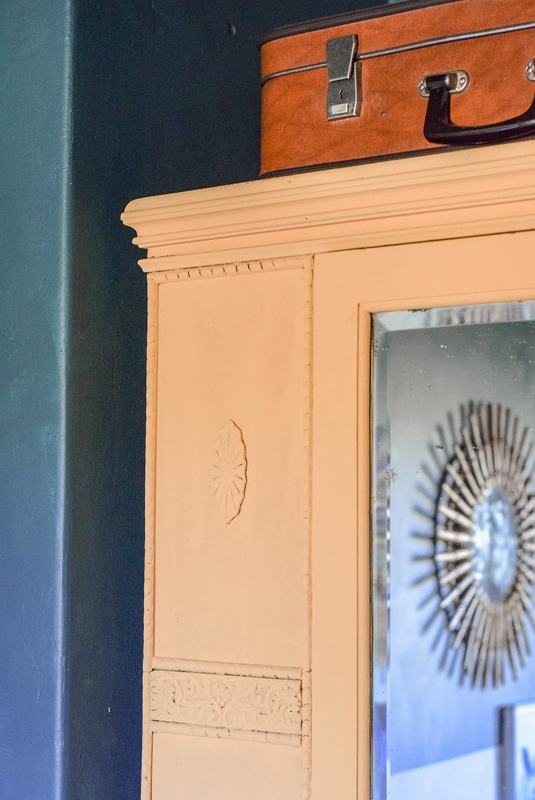 I liked the natural wood look, however, I wanted to make it a bright and fun feature within the room, so I decided to paint it using Annie Sloan ‘Arles’ Chalk Paint which is a really nice, deep mustard colour. Another ‘Recycling centre’ find, was a little cupboard that Mack uses as his bedside table. It was £5, and has little shelves inside for him to store a few toys and books. 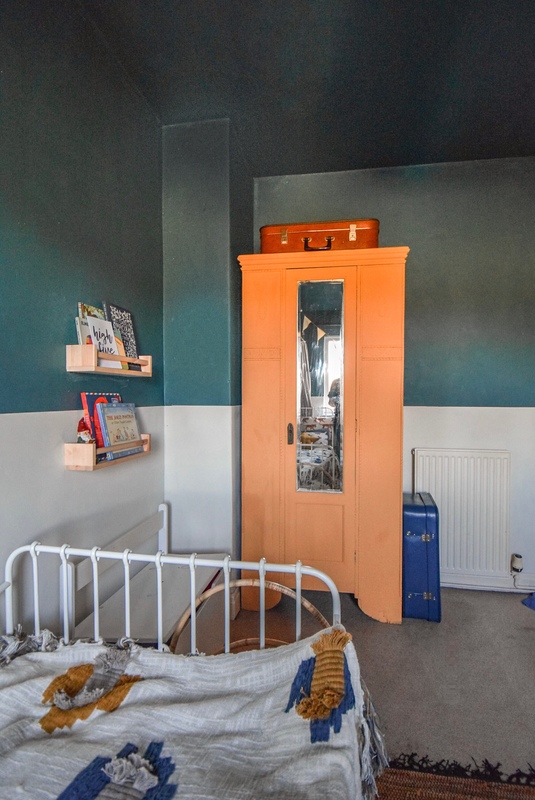 I painted it in some Farrow and Ball ‘Green Smoke’ that I had left over from our bedroom ceiling. It turned out lovely, and is a really nice addition to his room. One thing that took ages to find, was a cupboard to store toys in. I searched and searched, but just couldn’t find anything that was right. 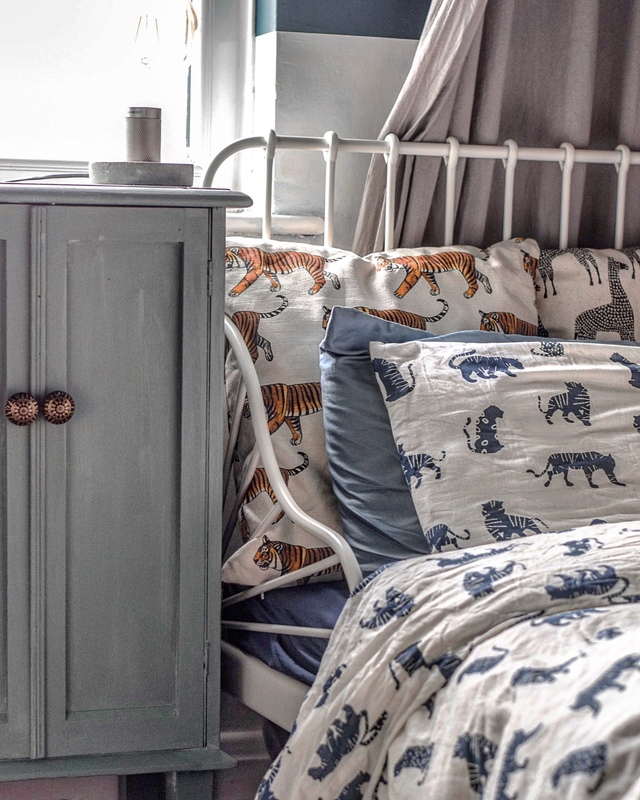 In the end I came across a brand new IKEA Hurdal linen cabinet on ebay for £70! I’d seen it in the store, so knew it was a lovely piece and would be perfect for toy storage. So off I went to collect it. 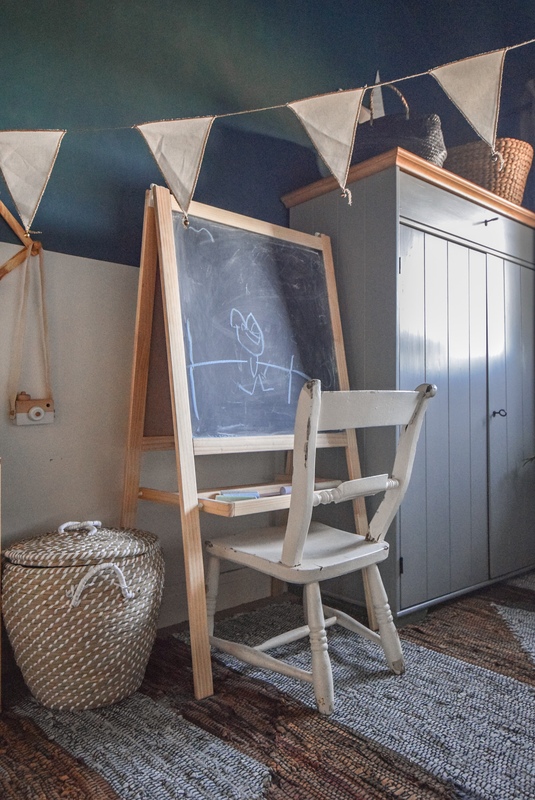 Although I loved the original green colour, it didn’t look right in Mack’s room, so I searched my paint cupboard and found some Farrow and Ball eggshell in Manor house gray, which complimented the rest of the room perfectly. 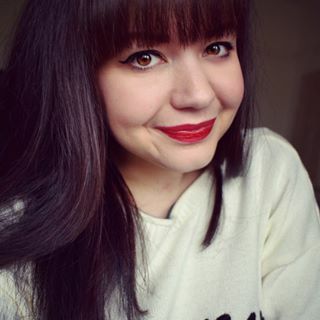 The rug is from La Redoute. I managed to get it when they had 40% off, so it was an absolute bargain. It is made from leather, and although not the softest beneath your feet, it sure introduces a lot of texture in to the room. 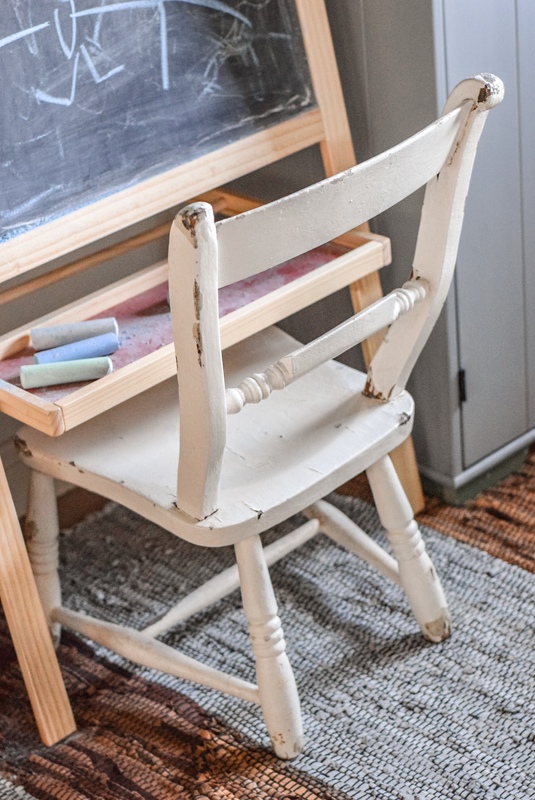 La Redoute, actually have a huge sale on at the moment, which includes this rug, so grab yourself a bargain whilst you can. 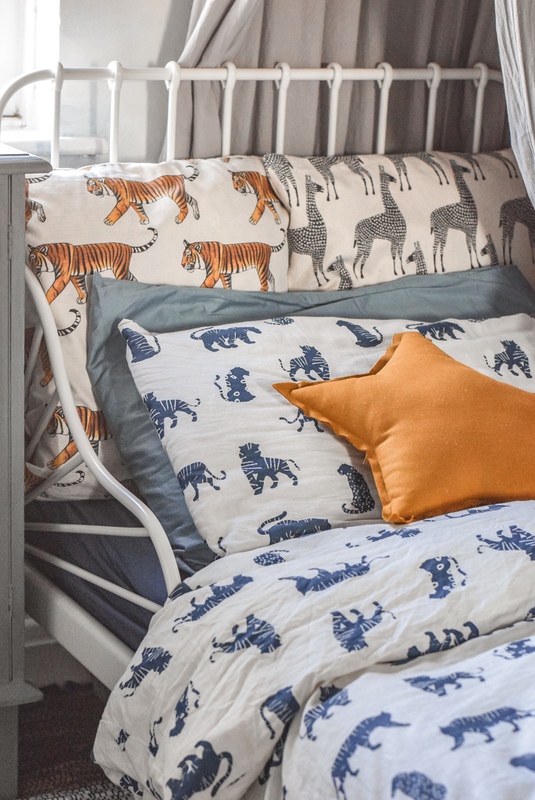 I was very kindly gifted a few prints for Mack’s new bedroom from De Fraine Design, I showed them to Mack and he chose a Tiger, a rhino and panda, which compliment his new room perfectly. 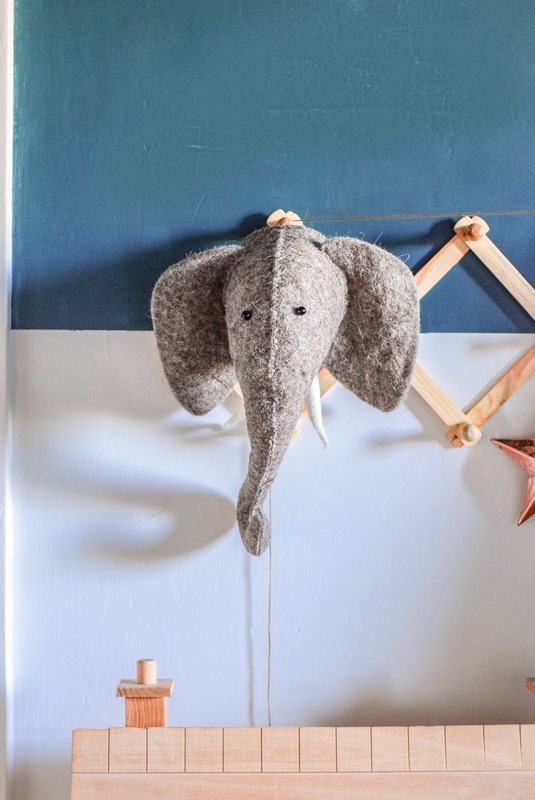 A gorgeous little small business called Yoyo and flo, sent Mack a Fiona Walker felt elephant trophy head, which we absolutely adore. 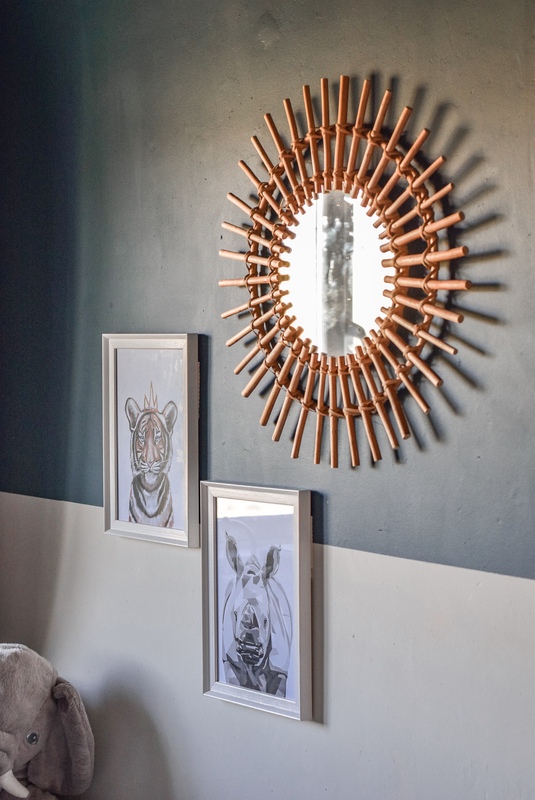 The bamboo star burst mirror is from Matalan, which I can’t find online, but they may well still have some in store. 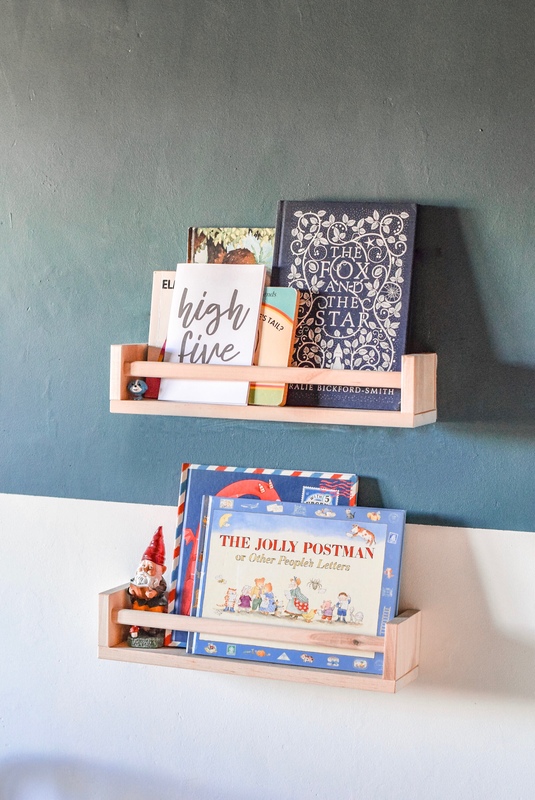 The book shelves are spice rack’s from IKEA, I saw this hack on Pinterest and it’s such a cost effective way of storing bedtime stories. 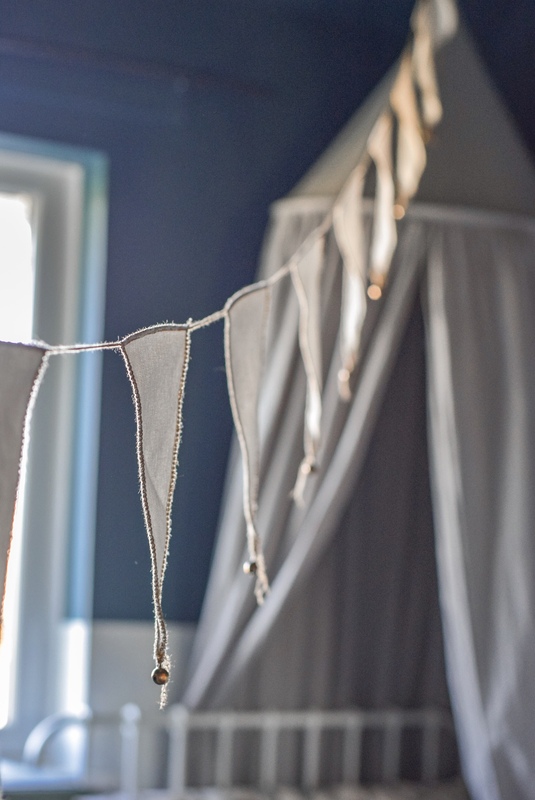 I ordered some lovely Numero 74 bunting from Molly Meg, which I have hung across his room to add a bit more interest. Mack said it reminds him of the circus, which he loves to go to. Whilst in IKEA I saw a chalk board and with Mack starting school, thought it would be ideal for him to practise his writing, sums and drawing on. Turns out I was right, as he has played with it almost every day, since I brought it home. 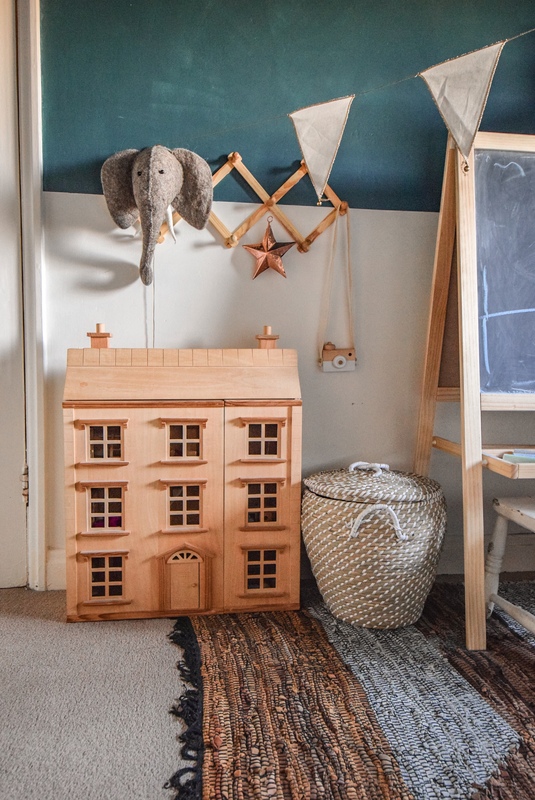 Mack has a nurturing nature, he loves soft toys and little things he can look after, so when I came across this gorgeous dolls house on Gumtree for £25, I knew he would love it. It turns out, both my boys enjoy playing houses, which is lovely to listen to, as their little imagination’s run wild. I think I may have to decorate the inside for added fun value, for me and the boys! 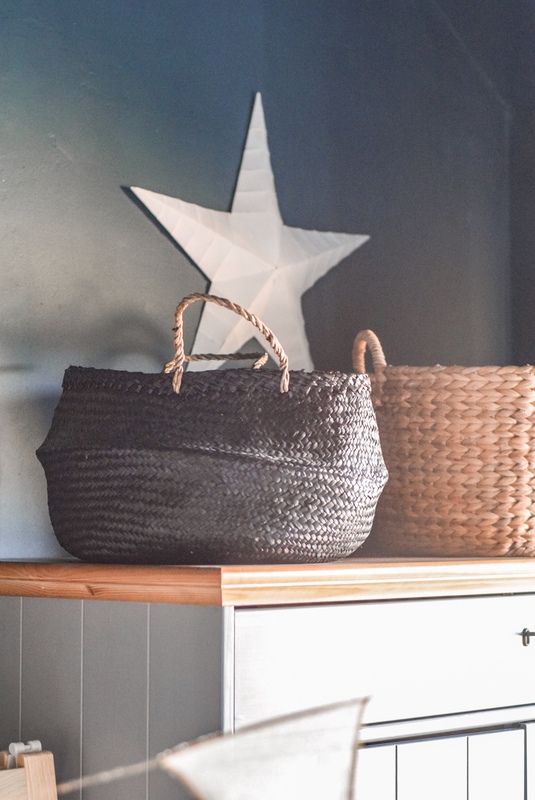 Aside from the larger furniture, Mack also has under bed storage, along with a selection of baskets for bits and bobs. I let him decide what he wants to put in them as it’s his room, and important that he knows where everything is. He loves to tidy his room, which is lovely. So having lots of storage, and places to put his toys is vital. 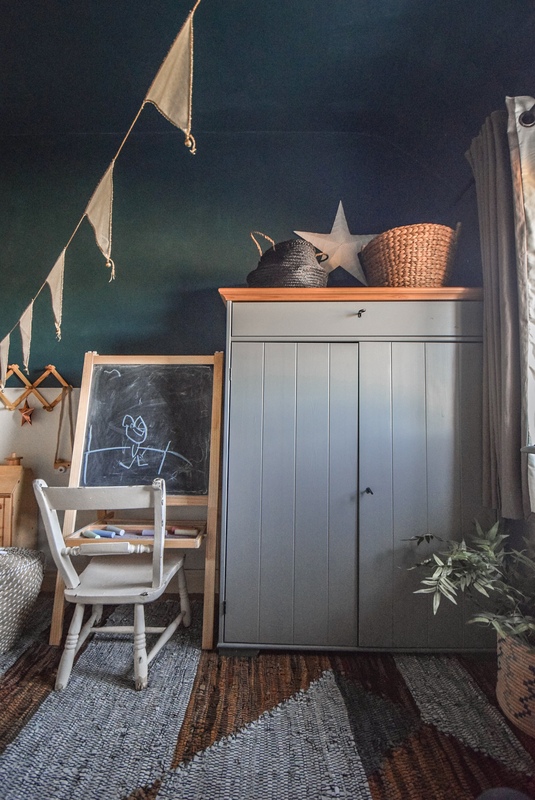 I hope you have enjoyed taking a look around Mack’s new bedroom, I don’t think it’s 100% finished as I’ll always find things to add to it, I’m happy for now though. If there is anything you have seen in the images that I haven’t listed above and you would like to know more about it, please let me know and i’ll give you the details. Next Post I have this thing with Original Style tiles….